This delivers a restaurant-quality dish without the expense or inconvenience. Using your slow cooker, means you can just put all the ingredients together and walk away for half the day. Ginger is a popular ingredient in home health remedies to treat nausea. Per Serving: 461 calories; 8g fat; 41.6g carbohydrates; 54g protein; 145mg cholesterol; 667mg sodium. i doubled the garlic like the commenter above. glad i did, really flavorful and delicious. i served over sticky white rice with broccoli. i steamed the broccoli florets in my pressure cooker for 1 minute - worked like a charm. I liked this one a lot. I doubled more garlic because I like my food garlicky. This recipe is an easy set it and forget it recipe. I have made it both in the pressure cooker and in the slow cooker and the results have turned out remarkably similar. My slow cooker doesn't have a keep warm feature, so I simmered it on the low setting instead after I added the starch slurry. 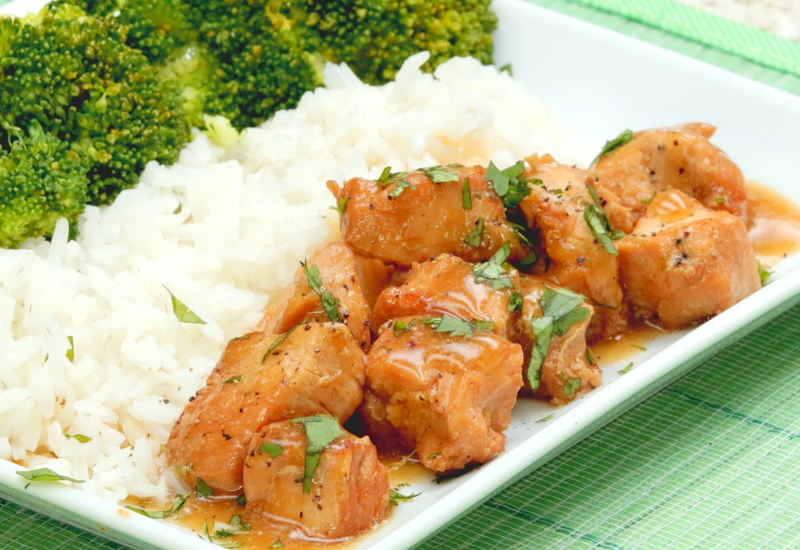 Honey ginger chicken that actually uses real honey! Next time I want to try frying the chicken and using the sauce on top as a glaze. Very good recipe. I've made this recipe in both my slow cooker and pressure cooker, and I must say, both turn out amazing. I always add a little extra ginger, for flavor. Delicious!